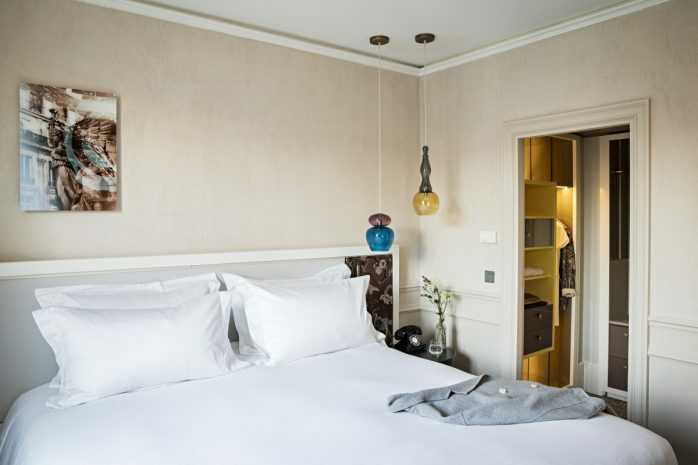 40 m² – Parisian elegance. 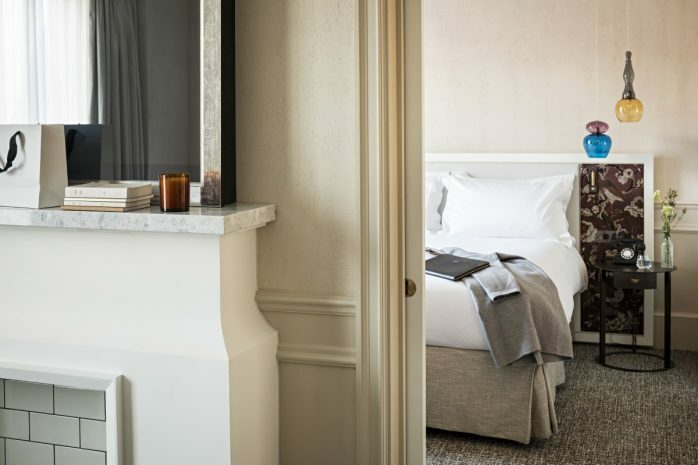 This new suite thought and decorated by Tristan Auer offers a lounge and a separated large bedroom with a dressing inspired by the world of luxury and the boutiques of the Opera area. 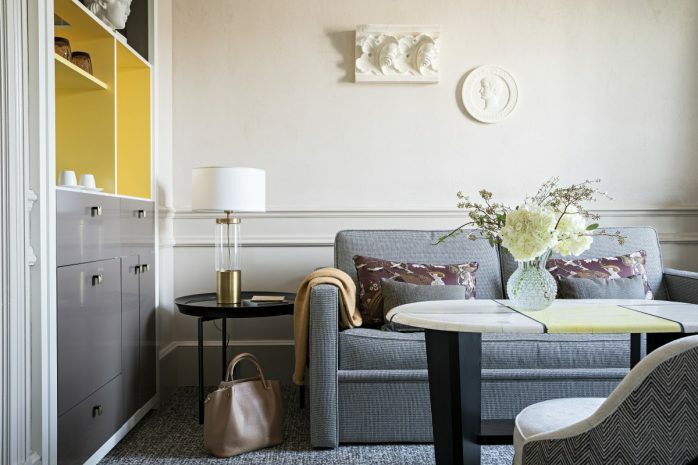 With your Family or on business, you will enjoy this new suite creation inspired from the Haussmann apartments from the early 20th century.